IOTA (MIOTA) is a third-generation cryptocurrency offering free, real-time microtransaction between Internet of Things (IoT) devices. Using the Tangle, an innovative blockless distributed ledger, IOTA gives users the ability to transfer value internationally without any fees. Another essential feature of IOTA is its ability to store and transport data through the Tangle allowing users to establish secure communication channels between devices. All data stored and transferred through the Tangle is fully validated and tamper-proof, ensuring attacks are impossible. The main innovation behind IOTA is the Tangle, a revolutionary blockless distributed ledger promising a myriad of benefits unheard of in blockchain technology before. Traditional blockchains need miners to approve transactions by creating new blocks and adding them to the blockchain. The Tangle does not rely on miners; instead, new transactions directly or indirectly approve previous transactions before being approved themselves. As a result, IOTA's transactions per second will increase as adoption rates grow. Further, users issuing transactions contribute to the security of the interface. All of this means for the first time in history, the transfer of value/money is possible without any fees whatsoever. Masked messaging (MAM) is another feature IOTA brings to the table. MAM enables nodes to exchange validated, and encrypted information through the Tangle, meaning users can transfer valuable and sensitive data with quantum-proof security. IOTA aims to be the primary digital currency used internationally for peer-to-peer transactions. Since development IOTA has concentrated heavily on security, scalability, and efficiency, moving forward, these factors will continue to be the focus. IOTA has always had a long-term perspective; the team wants to provide sustainable benefits with technology that will remain relevant for many years to come. 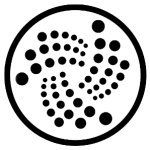 For more information regarding IOTA and the Tangle visit the official website.